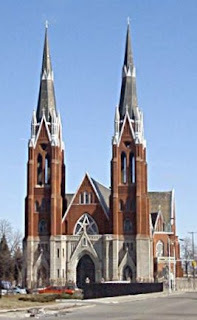 Over on the Catholic Gene blog there is a project going on where people have been asked to write about the Catholic churches their family and ancestors have attended to celebrate the Year of Faith 2012-2013. This wonderful project is the brain child of Lisa and is called Doors of Faith. I've written about my family's churches many times in the past so I will simply do a round-up here for anyone interested who may have missed these articles. 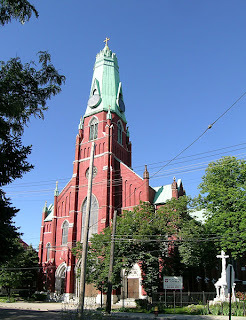 St Lawrence Church in Wojnicz, Poland is the ancestral church of many generations of my Mizera/Bober family lines. You can read about it here. You can't see the Doors of Faith very well in my scrapbook page below but you can see them better from the links in my article. St Mikolaj Church in Zgorsko, Poland is the ancestral church of many generations of my Laska/Furman family lines. You can read about it here. You can see the Doors of Faith pretty good in the picture below. 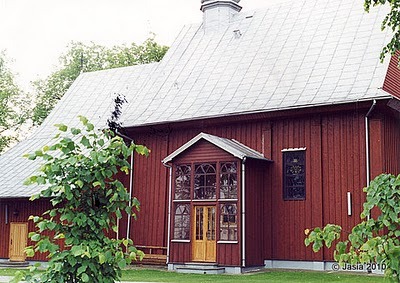 Assumption of the Blessed Virgin Mary Church in Przeclaw, Poland is the ancestral church of many generations of my Lipa/Knot family lines (they lived in the nearby village of Bobrowa but it didn't have a church of it's own). You can read about it here. 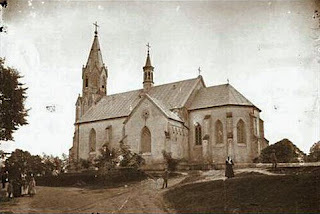 Below is the only photo I have of the old church from Przeclaw. 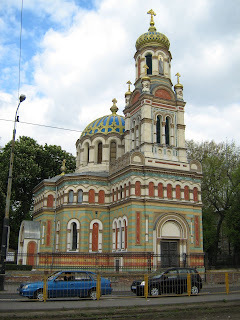 I have a cousin who is a priest at the Lodz Cathedral pictured below (I haven't written about this church on my blog). Doors of Faith are small but visible. When my Lipa family members first arrived in Detroit in 1881 they attended St Albertus Church in Detroit. You can read about it here. The Doors of Faith are a bit hidden here. 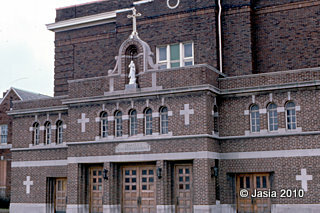 Later the Lipa family were founding members of Sweetest Heart of Mary Church in Detroit. You can read about it here. The Doors of Faith are barely visible. Sorry about that. They are really beautiful. 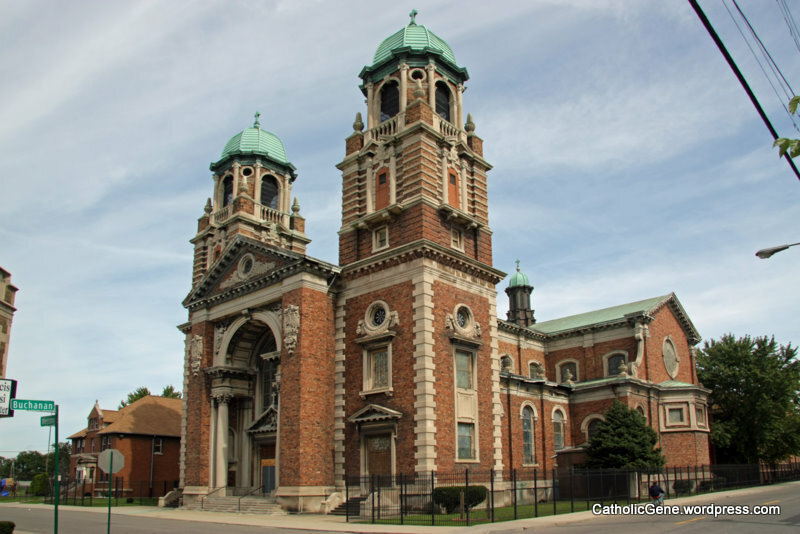 The Laska/Lipa family branched off to Detroit's west side and were members of St Francis D'Assisi Church. You can read about it here. Lots of Doors of Faith pictured here but from a distance. And the Lisowski/Mizera branch of my family also moved to the west side of Detroit and attended Assumption of the Blessed Virgin Mary Church. You can read about it here. Finally, some Doors of Faith you can really see. I thought about sharing all the churches I have attended but this blog post would go on for far too long. So we'll just leave it at this. I've enjoyed sharing the Doors of Faith of my family. I hope you enjoy reading about them.